Hypertonic disease (hypertension) is a disease, characterized by high blood pressure in the human circulatory system. Hundreds of thousands of people in the world are more or less prone to this disease. Arterial hypertension is one of the most common pathologies of the cardiovascular system, which often becomes the reason of hospitalization. According to some data, a periodical or constantly high blood pressure is observed in 15-25% of adult population. 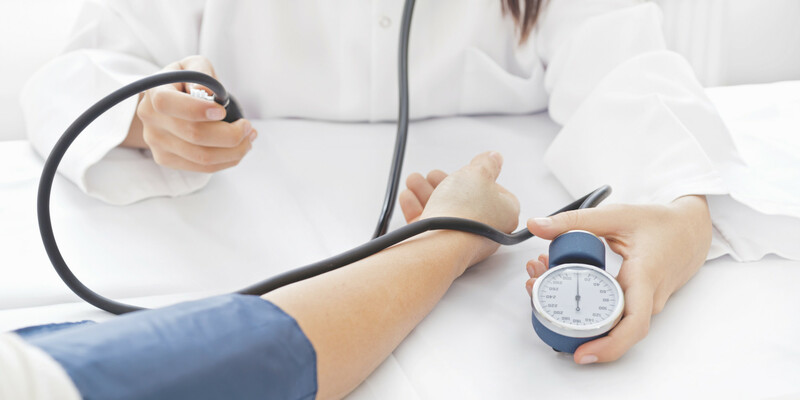 The cardiovascular system is closely connected to all tissues, systems and organs of the human body; hence, there can be thousands of different causes of high blood pressure. There is a range of factors, affecting the occurrence and progression of high blood pressure. Over 50% of adult people are prone to various risk factors of hypertonic disease. About half of them have more than one factor, resulting in that the disease and dangerous consequences increase significantly. Symptoms and signs of high blood pressure may absent, but if you notice frequent headaches, noise in the ears or a strong heartbeat, then you need to seek medical help. Many people have no idea that they suffer from hypertension. Without proper treatment, abnormal blood pressure may damage various systems and organs of the body. The most sensitive parts of the body are heart muscle, blood vessels, brain, eyes and kidneys. Strokes and renal failure are common as well. The higher the blood pressure, the harder the work of heart to maintain a normal circulation of blood. If hypertension is not cured in time, the walls of the heart may get thicker and hypertrophy eventually. The high blood pressure can accelerate the formation of fat deposits on the walls of the blood vessels (atherosclerosis). The disease progression can cause clogging or destruction of the blood vessels. Severe stages of the disease may cause stroke, affecting the speech and memory. The high blood pressure worsens the blood supply to the retina, leading to partial or complete loss of vision. The hypertension treatment is mostly aimed at eliminating the causes of the disease and normalization of the blood pressure. The drug therapy of the disease may involve vasodilators, diuretics and sedative medications. All medications must be adjusted individually and depend on the overall health of a patient. For people with hypertension, doctors prescribe special diets that are mostly directed to the decrease in consumption of salt and liquids. The lifestyle change is one of the most important ways to control the blood pressure. If you are overweight, you should lose weight. Regardless of the high blood pressure causes, doctors recommend to keep a diet that is low in fat and simple carbs. The prophylaxis of the high blood pressure must involve an increase in physical activity. In addition, doctors recommend daily walking and a get enough sleep. Make sure you eat more fruit, vegetables, and drink skimmed milk. Cut down caffeine and alcohol. To prevent hypertonic disease, it is very important to diagnose it as early as possible. A systematic control over the blood pressure is one of the main methods allowing to reveal the disease occurrence. People, having one or several risk factors, should constantly monitor their blood pressure rates. Blood pressure cuff (sphygmomanometer) helps to analyze the heart work by several parameters. You can buy blood pressure cuff at a traditional or online pharmacy. Depending on your goals causes of the disease, you can choose one type of the blood pressure cuff. To use modern sphygmomanometer, you don’t need any special knowledge or skills.